Hyundai Motor America today reported its best January in company history, selling 44,005 units for the month, up less than one percent versus the same period last year. Kia Motors America (KMA) today reported the company’s second-best annual sales in 2013 of 535,179 vehicles following the delivery of seven all-new or significantly redesigned vehicles over the course of the year. 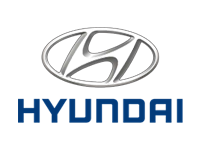 Hyundai Motor America today announced sales for the month of November of 56,005 units, up five percent versus the same period in 2012, representing the best November in company history. Hyundai Motor America today announced sales for the month of October of 53,555 units, up seven percent versus the same period in 2012, representing the best October in company history.